Beautiful, confident Tabby Karim has plans for the winter: nab a role in her school's dramatic production, make the new boy Michael hers, and keep bigoted Heather-with her relentless Ay-rab comments-at bay. When a teacher's lie and her father's hastiness rob her of her beautiful hair, her dreams are dashed. The fastest barber in Miami Beach has made her look practically bald. With all her pretty hair gone, Tabby doesn't believe she fits the feminine role she's auditioning for. Michael is still interested in her, but he's playing it cool. Heather has taken to bullying her online, which is easier to do with Tabby's ugly haircut. 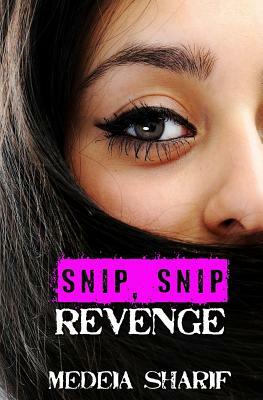 Tabby spearheads Operation Revenge, which proves satisfying until all of her problems deepen. After messing up, she sets to make things right. I'm a Kurdish-American author who was born in New York City, and I presently call Miami my home. I received my master's degree in psychology from Florida Atlantic University. After becoming a voracious reader in high school and a relentless writer dabbling in many genres in college, I found my niche writing for young people. Today I'm a MG and YA writer published through various presses. In addition to being a writer, I'm a middle school English teacher. My memberships include Mensa, ALAN, and SCBWI.